Home » iPhone » Used iPhone for Sale: Where to Find ad Buy Online? Used iPhone for Sale: Where to Find ad Buy These Phones Online? – Applerepo.com, Are you planning to buy an iPhone but can’t afford a brand new one and thinking “Where can I buy used iPhones for sale?” Apple’s iPhone is still considered the number 1 brand for mobile phone users. It is the preferred brand for entrepreneurs and other working individuals. However, the prices of these phones in the local, international and even in the internet market are higher than other cellphone brands. The truth is that not everyone can own these phones for its market value. One of the most practical means to own an iPhone is to purchase pre-loved iPhones on the internet. Apple makes sure that their items are long lasting. So when you choose an Apple brand like a used iPhone, you are still assured of its sturdiness. Since it is a second-hand phone, you will get few percentages off of its original price. Then you can spend more on buying variety of iPhone casings to make the iPhone brand new again. The internet is a world filled with scams, so you should always be careful in purchasing anything. Be sure that you purchase products at legit sites. Used iPhones for sale are marketed by thousands of online entrepreneurs especially on social media sites. Online boutiques on social media become increasingly more in demand. With this, scammers grab the opportunity to do their dirty tricks. So be wary in choosing a cellphone online shop. Then, you need to make sure that you know whether or not the product can be returned if found defective. It is vital for a buyer to know whether or not the purchased item have a “no return, no exchange” policy. Procure used iPhones at trusted internet sites. Again, be very vigilant on selecting the site to purchase your mobile phone. A huge number of used iPhones for sale are marketed both at legit and scam sites. Avoid being scammed by reading online reviews and testimonials. These are the voices that you need to listen to when you buy something over the internet. But where can you find these used iPhones online? There are many places to go to like the main company websites and social media sites such as Facebook and Instagram. Most business owners prefer to have their own Facebook and Instagram accounts since millions of people are always logging online. So, it would be less hustle for the items to be sold. Be a practical buyer, if you can’t afford a brand new cellular phone, you can always have an option to buy a used one. Used iPhones for sale online from a scam-free web store is just as good as purchasing it on Apple Store and other local shops. 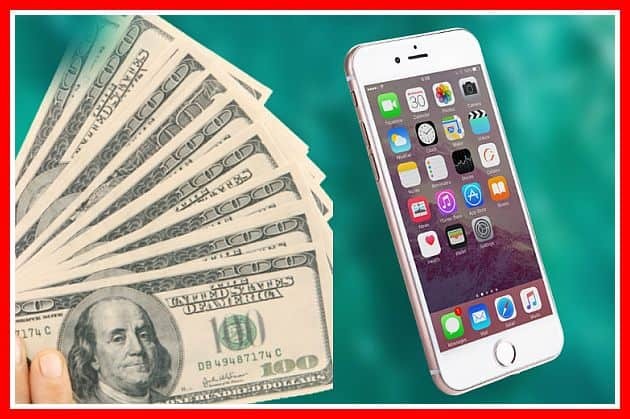 Buying used iphone online is fast and convenient. It is just a simple one – two step procedure and you can have what items you are looking for. Along with the item posted for sale is the description and seller’s contact number for negotiation. Just be sure that after negotiating with the seller, you will not be scammed.